Correcting mistakes has never been so fun! This adorable stationery addition is both stylishly sweet and perfectly practical. 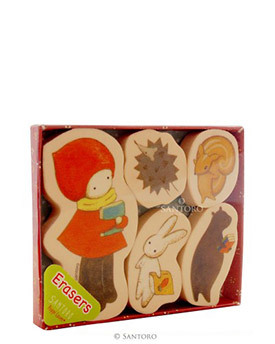 Detailed with the delightful Poppi Loves and her animal friends, each pack contains 5 different eraser designs all set within a floral rouge red box. A must-have for doodlers, scribblers and stationery lovers!